Choose from one of our 15 Themed Production Shows. 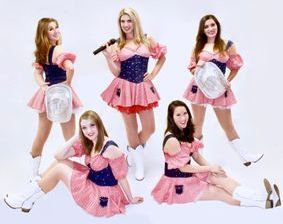 All of our shows feature the "Dance Spectacular" Dancers & Singers & include audience interaction. Option to book with a live orchestra or track music. Length of show is customized for your event/venue. Current Hits & much more. 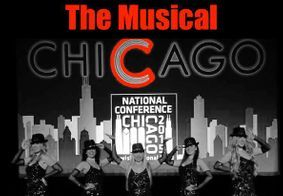 6 Minute Vignette of the musical CHICAGO! Join us as we take you back to the 1920's. Plus more classics from that era. as we swing into the 1920's with a modern day twist. This comedic musical story of how 4 performers made their way to the speakeasy will make you laugh, cry and wanna "wiggle"! This show is the "bee's knees"! 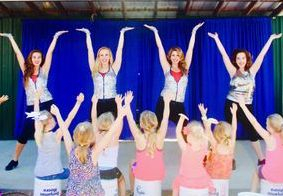 "Diamonds Are a Girls Best Friend,"
"My Heart Belongs to Daddy,"
"I Wanna be Loved By You," and many more! Diamonds, Feathers and Pink, oh my! but grab your partner and start fixin to dosi do at the best shindig in town. our way into your heart. Get ready to Twist & Shout as we take you back to the good ol' days. at the coolest Disco in town. musical journey that's funky cool! Yankee Doodle Dandee & Living in America. Join us as we pay Tribute to our Troops! and join us as we are COFFIN up a SPOOKtacular Halloween Show for you. scream & boogie till the beWITCHing hour. Winter Wonderland & much more. A Holiday Show that's SPECTACULAR! You got it dude! This is like so awesome! 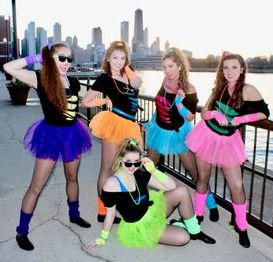 Our totally rad 80's show covers the hottest hits from the 1980's including Flashdance, Michael & Janet Jackson, Wham, MC Hammer, Madonna, Young MC, & much more! as we bust a move! Heroes are made by the path they choose, not by the powers they are graced with. There is a super hero in all of us, we just need the courage to put on those "magic dancing boots." love & respect. These Stars want you to learn how to respect everyone’s differences.